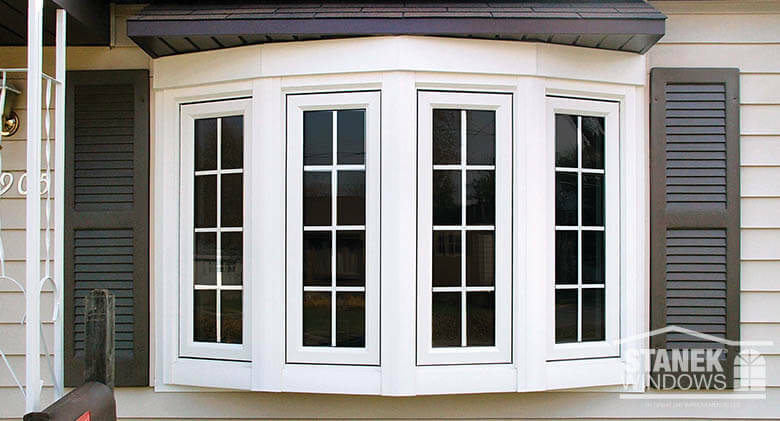 The curved structure of a bow window creates a round appearance from inside and out, making it a great option for Victorian-style homes. 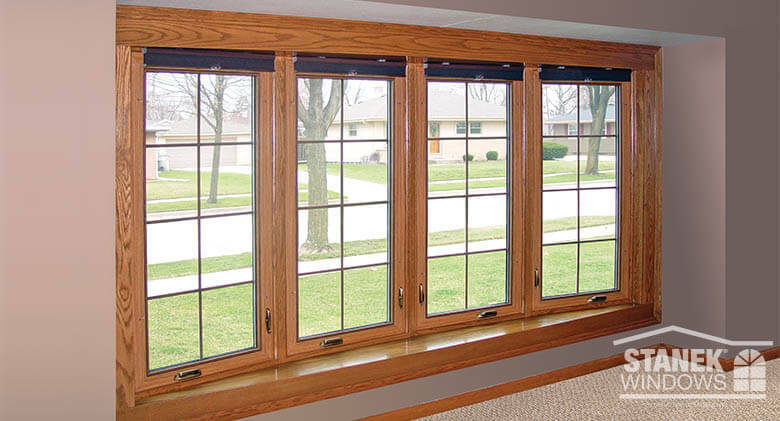 Stanek bow windows fill your home with natural light and are a stylish alternative to large picture windows. 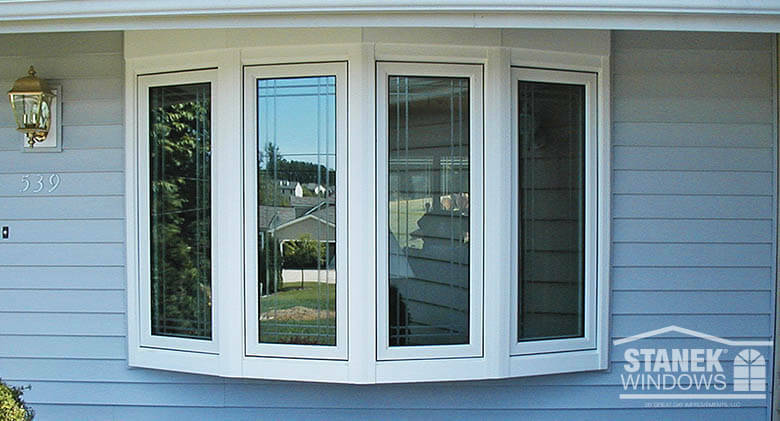 Extend your view, creating the perfect nook in your favorite space with custom bow windows. 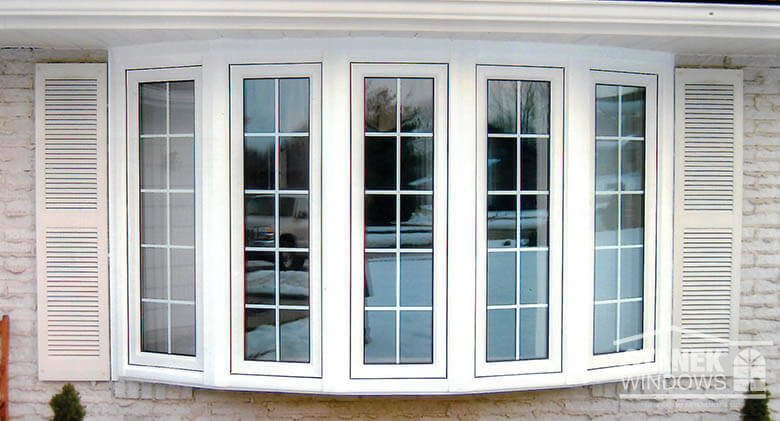 Bow Window White, four-lite bow window with overhang tie-in and casement windows with double prairie custom groove etching. 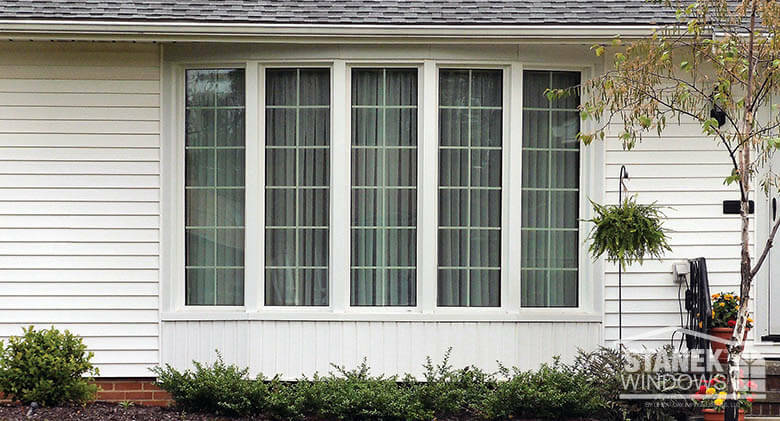 Bow Window White, five-lite bow of casement windows with colonial grids and a shingled hip roof. 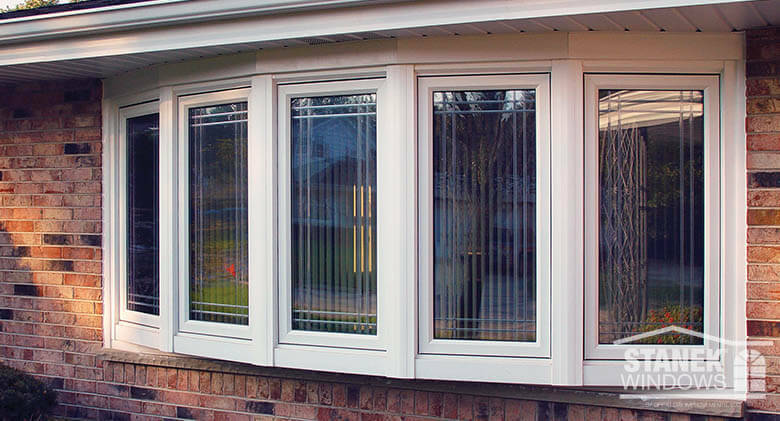 Bow Window White, five-lite bow with overhand tie-in and casement windows with colonial grids. Bow Window Beige, four-lite bow window with colonial grids. 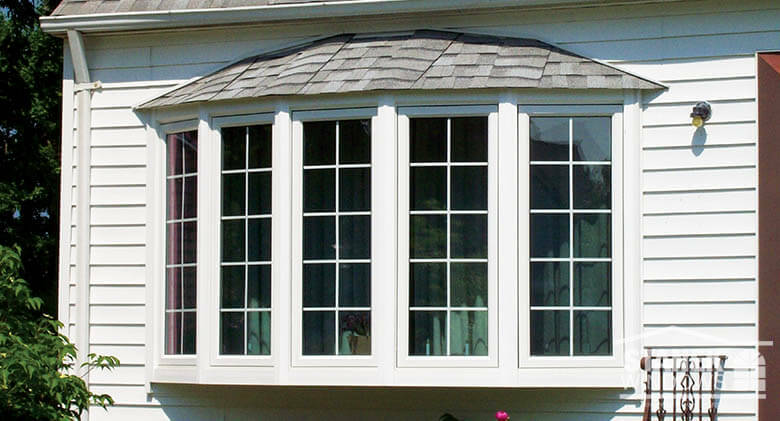 Bow Window Four-lite bow window with colonial grids and woodgrain interior finish. 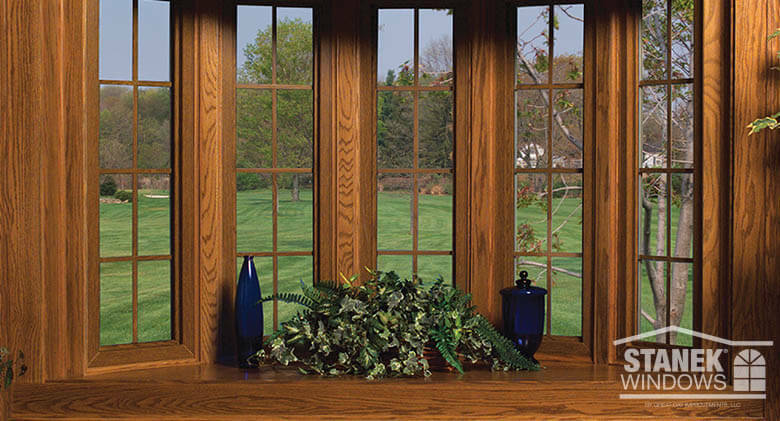 Bow Window Ultra Elite five-lite bow window with tongue and groove shell in woodgrain interior finish. Bow Window White, four-lite bow window with colonial grids. Bow Window Five-lite bow window with colonial grids in white. 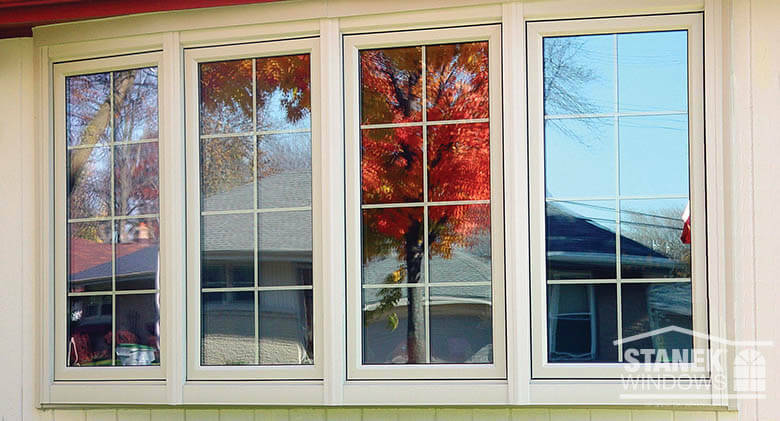 Bow Window Five-lite bow window with double prairie custom groove glass etching.